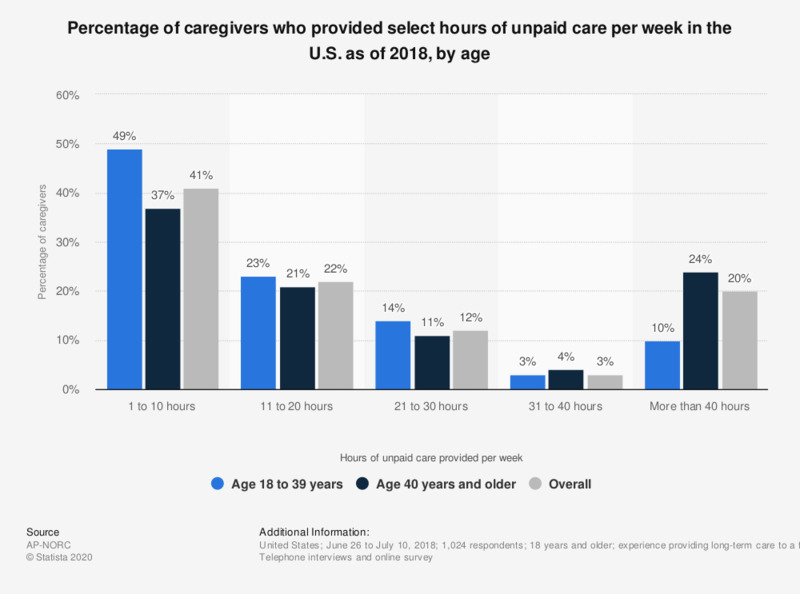 This statistic shows the percentage of caregivers in the U.S. who provided select hours of unpaid care per week as of 2018, by age. It was found that 49 percent of caregivers aged 18 to 39 years provided 1 to 10 hours of unpaid care per week. Question: [When you were providing ongoing living assistance, about/About] how many hours per week [did/do] you provide unpaid care?